I hate to repeat myself, but farming can be quite repetitive. Here is the lineup, a bit similar to Wednesday: Lots of papaya, lots of sweet potato, the last Haitian kidney mangoes, a few dragonfruit (soon to be loads), lots of passionfruit, some shaddock, Italian basil, recao, garlic chives, and lemongrass. 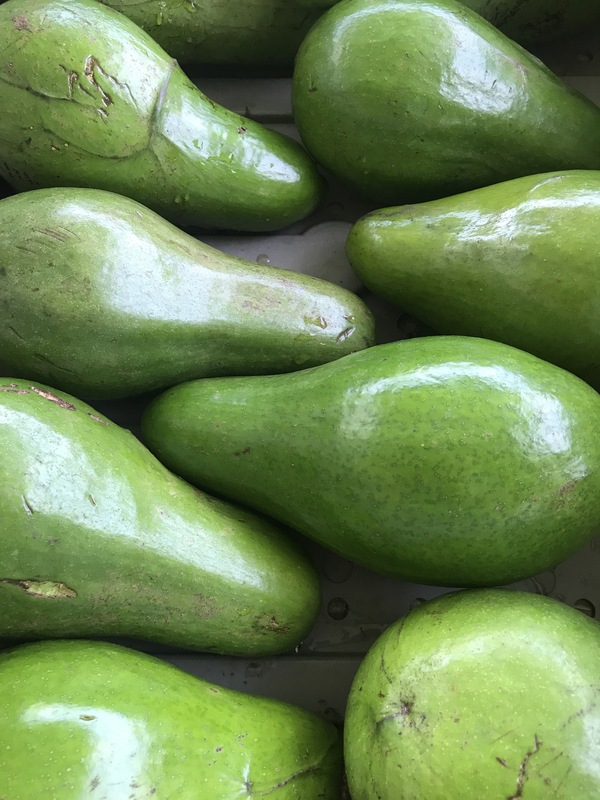 From our partners we have honey from Errol, beautiful avocados from Tita and the last of Mallika mangoes from Tropical Exotics, and goat cheese from Fiddlewood Farm. Eggs from Yellow Door Farm. There is a lovely musical production of Disney’s Little Mermaid at the old Good Hope School theater at 8 PM on Saturday night. Support the arts!